A supermarket manager who led a secret double life for over 20 years, having 12 children with two ‘wives’, committed suicide after the women found out about each other. Andrew Ingham, 50, sank into depression when they both left him in December last year after they discovered his affairs and he was left living alone in a tiny flat. Despite being married to his wife Jackie for 30 years, Mr Ingham maintained a relationship with his mistress Anita Barrett for 21 years, an inquest heard. Remarkably, he fathered four children with his mistress and eight children with his wife. Mr Ingham’s oldest child with his wife is 27, while his youngest child is eight. During the hearing into his death at Chelmsford Coroner’s Court, Mrs Ingham, 48, and Miss Barrett, 42, sat at opposite ends of the courtroom. The inquest heard that Mr Ingham committed suicide after feeling depressed about ‘events which had been going on in his personal life’. Before killing himself he left a number of suicide notes addressed ‘to whom it may concern’. 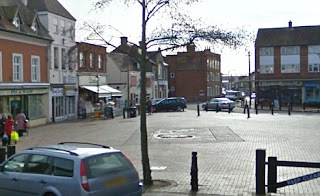 Mr Ingham had been living alone in a flat above a restaurant in Waltham Abbey when his body was discovered by his friend Stuart Pride. Mr Pride, who owned and renovated the flat, became suspicious when he found a parking ticket on Mr Ingham’s car, saying that his friend always took care not to receive fines. After using his own key to let himself into the property, Mr Pride discovered his friend. He said that, shocked by the scene, he called the police immediately. Mr Pride also told the court that he was aware of circumstances in his friend’s personal life. The inquest heard that Mr Ingham had not been seen for three days before his body was discovered. Coroner Caroline Beasley-Murray, who recorded a verdict that Mr Ingham killed himself, told the court that there were no suspicious circumstances surrounding the death but said there remained ‘unanswered questions’. The coroner said she bore in mind the note and believed Mr Ingham was suffering from depression. Inspector Sarah Harding told the coroner she was ‘satisfied that he decided to take his life over the weekend’.